The Dallas Cowboys front office decision makers are going to have a busy offseason in 2019. They've got several important pieces to get under contract as well as players that need contract extensions. 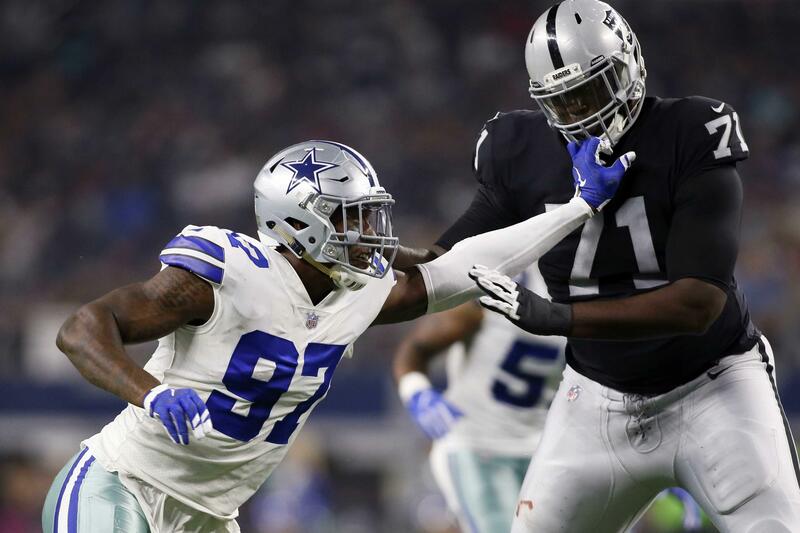 DeMarcus Lawrence is a free agent that will likely sign a big deal and may get the franchise tag to prevent other teams from offering a lucrative contract to walk away from the Dallas Cowboys. Other players like Dak Prescott, Amari Cooper, Byron Jones, and Ezekiel Elliott have been mentioned as possible targets for contract extensions. The reason the Dallas Cowboys are looking to hand out extensions to some of those guys mentioned above, is one, because they earned it, and two, because if you pay them a year early, there's a good chance you get them at a better rate than if you pay them once they're free. If the Cowboys wait till Dak Prescott, Amari Cooper, and Byron Jones all become free agents in the 2020 offseason, they'll have to worry about other teams jacking up the price on their players. Remember this past offseason when Allen Robinson and Sammy Watkins signed deals with new teams for more than $14 million per year. It's always better to have sole negotiating rights when attempting to get your players under contract. The Dallas Cowboys are likely going to get all these guys done this offseason, it's just a matter of when. It's always fun spending someone else's money, so here's how I'd prioritize getting their deals done. Another year and another Pro Bowl appearance for DeMarcus Lawrence who followed up his 14.5 sack 2017 season with 10.5 sacks this season and was just as electric against the run. 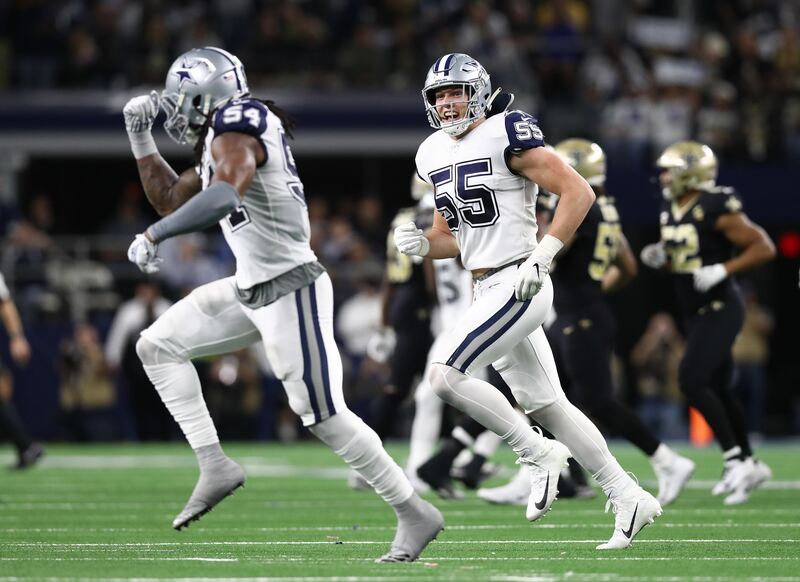 The Dallas Cowboys used the franchise tag on Lawrence last season and he played the full season on it, betting that he would have another stand out year. Lawrence sack numbers may have gone down, but his effectiveness was still on display every week. He's one of the best EDGE players in the NFL and is about to get paid like it. The Dallas Cowboys will look to get a long-term deal done before the start of free agency. Both Jerry Jones and Jason Garrett have commented on the importance of locking up the best player on their defense. If they aren't able to get a deal done before free agency starts, they'll franchise tag him again and then hope to get his long-term deal finalized before the tag locks in sometime in July. I know many people in Cowboys Nation aren't excited about the idea of extending Dak Prescott, but here's what you need to know. He's a good quarterback still developing and has gotten better each season he's been in the NFL. Dak's about to get paid. As I outlined a couple of weeks ago, Prescott has done enough to earn one of the top contracts in the NFL. 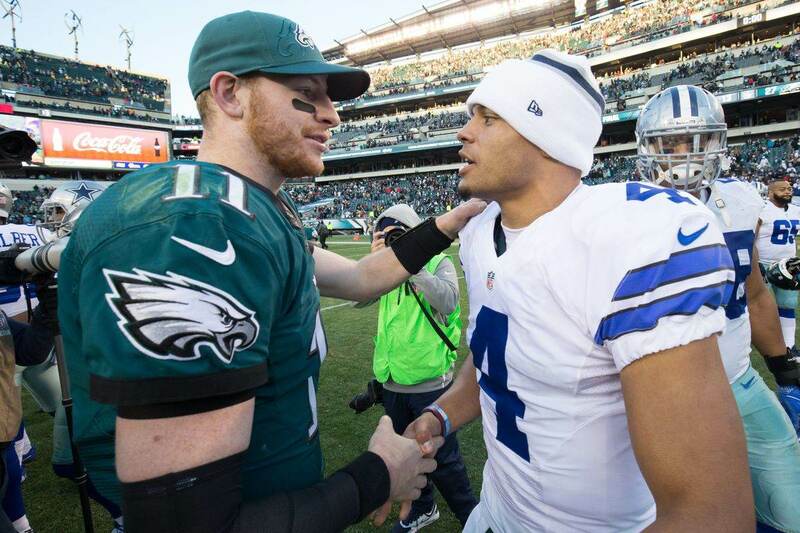 He's been the quarterback of the team that's won the NFC East two out of the last three seasons and has been to the Pro Bowl twice in his young career. In 2018, Dak set career highs in completions, attempts, and passing yards, all the while getting sacked a rate nearly double his previous career high. Locking up your young quarterback sets the stage for just about everything else on the offense. It creates an identity. Get Dak Prescott done and quit worrying about the face of your franchise for the next five seasons. The Dallas Cowboys have another year of Amari Cooper under contract for the 2019 season, but he showed his value in the last half of the 2018 season. After coming over from the Oakland Raiders, from week nine through 17, Cooper had 53 receptions on 73 targets for 725 yards and six touchdowns. At a 16 game pace, Cooper would have had 135 targets for 94 receptions, 1,289 yards and 11 touchdowns. Any question on whether he's a lead receiver for an NFL team should have been answered by his second half with the Dallas Cowboys. Of his 1,005 receiving yards, 725 came with the Cowboys while six of his seven touchdowns on the season came after he arrived in Dallas. Cooper's game fits excellently with Dak who looks to find the open receiver in his progression. Cooper is always open. He creates big windows with his route running ability and displayed excellent hands throughout the season. The offense got better when Cooper came over and that's no coincidence. With a full offseason to work together with Dak Prescott, the Cowboys will get even more out of Cooper in 2019. Lock your quarterback up and lock his favorite target up at the same time and prosper. The Dallas Cowboys finally found a role that suits their 2015 first round draft pick, Byron Jones. He played excellent this season at corner back. Byron Jones is a corner back. Pro Football Focus rated Byron Jones the fifth best corner back in the 2018 season among players that played at lead 600 snaps. Though he did not record an interception, and that's something that you hope will improve with more comfort at the position, he was tied for 10th in the NFL at the corner in pass break ups. He allowed a reception on only 53.6% of the attempts that went Jones' direction, which among corners, was good for ninth in the NFL. Each of the players above are in the upper echelon of their position and Byron Jones only allowed a player to gain more than 25 yards in his coverage twice. Week five against DeAndre Hopkins and Week 16 against Mike Evans. Jones shut out Michael Thomas and Odell Beckham Jr., and held Julio Jones and T.Y. Hilton to just one catch each. It was a really nice year for Byron Jones in his first full season at corner back and he was rewarded with a Pro Bowl appearance. A nice contract should be coming his way this offseason. The Dallas Cowboys hit a home run when they drafted Ezekiel Elliott with the fourth overall pick in 2016. He's been as good as anyone in Cowboys Nation could have hoped for. Elliott's led the NFL in rushing twice in his three-year career and in each of those seasons, he only played 15 games as the coaching staff opted to sit him with nothing to play for week 17. There was a report at the end of the regular season that Ezekiel Elliott wanted to be extended this offseason as opposed to waiting until the 2020 offseason. The Cowboys have a few options with Elliott. They can extend him, place the first round pick fifth-year option on him, or allow him to play out his contract. It's no guarantee that the Cowboys would offer Elliott a second contract after the 2020 season. If they're going to sign him to an extension, the time is now. He's 23 years old and an extension now would mean that his contract would run out around age 27 or 28, which is generally the age for running back drop off. Elliott's coming off a season where he led the NFL in rushing and more than doubled his previous career highs in targets and receptions, and finished with more than 2,000 total yards on the season. 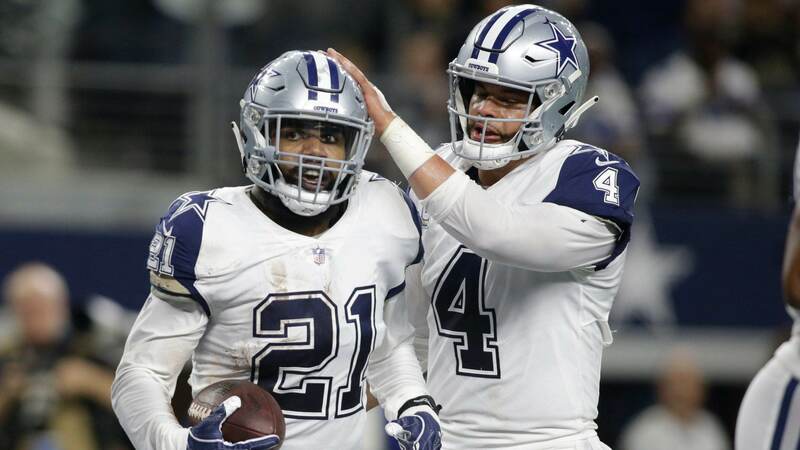 The Dallas Cowboys don't have to do anything with Ezekiel Elliott, but if they're intending to have him signed through his prime years, it makes a lot of sense to get him done now. The Dallas Cowboys have a lot of money to spend this offseason getting some of their own locked up to long-term deals. They'll be working with the player's representatives to find numbers that work for both sides over the next few months. Locking in their core players for the foreseeable future is paramount to the Cowboys' window being extended for the next five years. Cowboys Draft: Should Cornerback Be Considered In The 2nd Round?